I walked through the house, it looks fine. 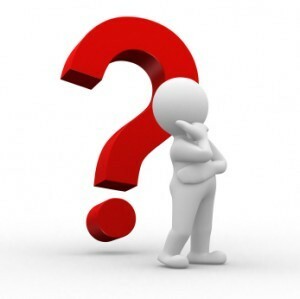 Why should I get a home inspection? One of the single most expensive and important purchases you will ever make in your entire life will be your HOME. However, unlike the guarantee a buyer receives with most purchases, there's no money-back guarantee or return policy if you're not satisfied with your recently purchased home. Once you buy a home, you're on your own to maintain it, repair it, anticipate problems and pay the bills. This is why it's best to know as much as you can about potential problems before you make the commitment to buy. As a home Buyer, you'll want to ensure that your getting a good value for your investment. A home inspection is an excellent tool for you to take advantage of. It'll allow me to perform a comprehensive visual inspection of your new home before you decide to purchase such a huge investment. I'll determine the components that are not performing properly as well as items that are beyond their useful life or are unsafe. I will also identify those areas where repairs may be needed now or where there may have been problems in the past. If you are currently a home owner and looking to sell your house, you may want to get your home inspected before putting it out on the market for an opportunity to make repairs that will put the house in better selling condition. I will give you a better understanding of the conditions which may be discovered by the buyer's inspector. Allow me to assist you in turning your home into a buyer friendly home and assessing the pros and cons before you place your home on the market. If you would like to do the home inspection yourself, that's absolutely fine. But remember, you must be able to open the electric service panel and determine whether there are any wiring violations. You must be able to walk the roof surfaces to determine the condition of the roofing material, flashing and drains, while noting defective conditions and any faulty methods of installation. You must evaluate the plumbing fixtures, supply lines, waste lines and gas piping to determine their operational condition and their compliance with accepted building standards. You must inspect the heating system to determine its functional condition and identify any of a long list of potential safety problems. You must also crawl under the building and through the attic, searching for and recognizing a vast number of potential construction defects. And hopefully you can locate the Asbestos and other hazardous materials within the home. A complete list of likely problems could easily fill a book. A home inspection is the process of investigative discovery. It involves a serious observation with a trained eye, recognition and conclusive evaluation of countless related and seemingly unrelated conditions. It requires numerous judgments and decisions as to degrees of severity, proposed means of correction, advisement's for further evaluation when necessary, warnings of inherent risks to life and property and the likelihood of future problems. I can recognize and identify defects in every imaginable situation within the realm of modern and not-so-modern housing. When buying a home, it is best to engage the services of a qualified, experienced home inspector such as myself. You will not regret it. The house is newly constructed, and was just inspected by the municipal inspector. Shouldn't this inspection be adequate? No one can build something as large and complex as a house without committing a few errors at various stages of the process. Throughout my years of inspecting, I have learned that all new homes will have their defects of one kind or another, regardless of the quality of construction or the integrity of the builder. This is because human imperfection prevents anything as large and as complex as a home from being constructed flawlessly. The belief that any new product is free of defects and necessarily flawless runs contrary to common sense and experience. The return counter at any department store provides ample evidence of this fact. When applied to new homes, the belief that new means perfect can lead to very costly mistakes. Many home buyers feel that they do not need to employ a professional home inspector because municipal building inspectors regularly inspect new homes. Let me personally tell you that a municipal inspection is not enough. The purpose, scope, time allotment and procedures are not the same for municipal inspections as they are for home inspections on the behalf of Buyers. Home Buyers need to understand that many building inspectors are seeing over 12-15 homes a day and are inspecting primarily for code compliance's, and not for quality of workmanship. They can cite a builder for improper structural framing or for non-complying drain connections, but a poorly fitted door, improper installation of components, unprofessional installation of wiring, an uneven tile counter top and shoddy finish work are not on their list of concerns. Municipal inspectors rarely inspect an attic or a sub-area crawlspace. They come to the job site with a clipboard and a code book, not with a ladder, high-tech tools and overalls. Construction defects in such areas can escape discovery. Municipal inspectors typically inspect a roof from the ground or possibly from the builder's ladder. From these perspectives, roof defects are not always apparent. Municipal inspections are performed before the utilities are turned on, so municipal inspectors cannot determine if the appliances and fixtures work. They don't test outlets for ground and polarity because this can be done only after the power is turned on. Nor, without power, can they test the performance of GFCI or AFCI safety breakers. Because there is no water or gas yet, municipal inspectors can't test plumbing fixtures such as sinks, showers, tubs and dishwashers, or gas fixtures such as furnaces, fireplaces and water heaters. The municipal inspector is not looking at specific construction practices that tend to determine if a home is going to be a trouble-free investment or one that will require significant modification and repair in the future. As I previously mentioned, they are primarily code compliance inspectors. In the past, I've always picked up on many building or safety infractions that municipal building officials had totally ignored. I've never performed a newly constructed home inspection that was totally flawless. Your home inspection report will always contain a list of items that need to be corrected. There is no perfect home. So, a professional home inspection on a brand new home is always beneficial. As one municipal inspector has stated in the past..."What we do is a cursory inspection, we do not check everything. That is not our job. We don't even warrant the work. We are going to look for the big stuff." The keyword here is "BIG STUFF". My question is.....How do they find the BIG STUFF on a simple cursory inspection? Another interesting fact is, anyone who has worked in the construction field can tell stories of the shortcuts and human errors that routinely occur, even on the best built of homes. Workmen have bad days, materials can have defects, details can be overlooked, components can be omitted, and municipal building inspectors can have too little time to check every nook and cranny within the house. So the choice is yours. If you still would like to take chances on waiving your home inspection on your newly constructed home, I seriously think you're making a big mistake and I honestly wish you the best of luck. There is a lot of shoddy construction out there and the construction errors I find on a daily basis is absolutely astonishing. Maybe this news clip will help you make your decision. And here's another newsclip that will aide you in making a wise decision on whether or not to hire your own home inspector to inspect a newly constructed home that was already inspected by incompetent municipal inspectors. See Masachusetts Home Inspector Standards Of Practice for a complete list of the systems covered in a home inspection. Should I be there at the home inspection? Absolutely. It's not required, but it is very much to your advantage to be present from start to finish. It's a lot easier for me to explain a home when you (the Buyer) are actually there on site! If you cannot make it, then please have someone you know on site to represent you, so that I can explain the property and go over any items and details that may need your attention. I'll slowly walk you through your prospective home and help you understand the house while I provide you with a wealth of knowledge that's hard to acquire any other way. I'll be talking to you through the entire home inspection. After walking you through the home, you'll be able to understand my inspection report more clearly, and know exactly which areas need your immediate attention. Being at the home inspection also alleviates any surprises that you may run into later on if you were not there during my walk-through. Additionally, I can give you all the answers to your questions, tips on home maintenance, and a lot of general information that will assist you when you move into your new home. Most important, you'll see the home through the eyes of an objective third party. Who else will attend the home inspection? Many variables affect who attends a home inspection. In most cases, however, Buyers hire me as their private consultant, which means the Buyer should have the last word on who should attend their home inspection. Your real estate agent usually coordinates who attends the home inspection, but there may be circumstances which can often override their preferences. In some cases, Buyers are unable to attend because they live out of the area or are not able to get time off from work. In those instances, Home Inspectors may be accompanied by the Buyers agent or a representative on the Buyers side. The Sellers agent will gain access to the home and usually supply me with the Sellers disclosure and/or the listing sheet. This Agent then stays out of the picture for the remainder of the home inspection. The Buyers agent will accompany the Buyer to the inspection most of the time. There are situations that may arise in which the Buyers agent will send an assistant to answer any questions the Buyer may have. In most cases, Buyers will attend all or part of my home inspection. This may occur with or without his/her Agent, or it may also include contractors and possibly some relatives and friends. I ask that you please keep your invitees to a minimum so that I can have all of your attention as we walk through the home and point out important items. Whether Sellers should attend the inspection is more complicated. Buyers cannot forbid the Sellers from remaining in their own home during the inspection, but Agents usually take care of this task of politely asking all Sellers to leave for a few hours. Some Sellers willingly leave for those few hours, some will remain without involving themselves in the inspection, and still others become actively involved, engaging the Buyers in lengthy conversations or shadowing the Home Inspector on every step. It’s always best to have the Sellers leave for the duration of the inspection, as I’ve ran into situations in the past where my clients became very upset because the Sellers remained in the home during the inspection. I (personally) do not like to see Sellers present during my inspections because it can cause conflicts on both sides. Many real estate Agents attempt to prevent direct communication between Buyers and Sellers, especially during the home inspection. They want to prevent emotional exchanges that might hurt the sale of the home. Often, however, attending the home inspection fosters goodwill among all parties. Each case is distinct and hinges on personalities, rather than protocol. While I’m talking with my client’s and reviewing my findings, they often prefer a private consultation, without the Sellers present. In most instances, Sellers instinctively understand this and offer the Buyers and myself a private room to meet in the house (I prefer the kitchen area). The worst of all arrangements is when the Buyers agent advises their Buyers not to attend the home inspection and appoint themselves as intermediaries. Agents who suggest such arrangements are not acting in the best interests of their clients. I will not conduct an inspection solely with a Buyers agent unless I'm authorized by the Buyer. As a Buyer, keep in mind that you have hired me to be your advocate. The home inspection is paid for by you and presented for your benefit. I have a reputation for thoroughness, and I will not allow anyone else set the rules on my home inspections. When is the best time to schedule a home inspection? The best time to schedule a home inspection is right after the offer to purchase contract is signed, prior to executing the final purchase and sales agreement. However, before you sign the offer to purchase contract, be sure that your Realtor includes an inspection clause in your contract making the purchase obligation contingent upon the findings of a professional home inspection. This clause should specify the terms to which both the Buyer and Seller are obligated. The time will vary depending on both the size and condition of the home. For most single family homes (under 2,000 sq.ft. ), 3 hours is pretty typical for me. But for larger homes and multi-family homes, or homes in poor condition, it may take me longer. Small condominiums usually take anywhere from 1 1/2 to 2 hours, depending on the conditions of the building and unit. Please keep in mind that no house is going to be perfect. The primary objective of a home inspection report is to provide you with detailed information about the home and to point out any major defects before you decide to purchase the home. Remember, all homes have defects; the perfect home simply just does not exist. Potential home buyers often incorrectly view my inspection report as a mandatory repair list for the seller. The fact is that Sellers are not required to produce a flawless house for Buyers. They have no such obligation by law or by contract; therefore, most repairs are subject to negotiation between you and the Seller. Typically, Buyers will request that various conditions be repaired before the close of escrow, and Sellers will usually agree to some of those demands. But with most building defects, Sellers make repairs as a matter of choice (not obligation) in order to foster good will or to help accomplish the sale of their home. Sellers can refuse any repair demands except where requirements are set forth by state law, local ordinance or the real estate purchase contract. Purchase contracts usually stipulate that safety issues be resolved, fixtures working, windows not be broken, and that there be no leaks in the roof or plumbing. Before you make any demands of the Seller, try to evaluate my inspection report with an eye toward problems of greatest significance. Look for conditions that compromise health and safety or involve potential or active leaks in the plumbing or the roof. Most Sellers will address problems affecting crucial areas or items such as the roof, electrical, plumbing problems and big-ticket items such as the furnace and water heater. Your inspection report will not indicate whether or not the house is a good value. It is simply an objective report of its present condition. Please consult with your Realtor to help you work through an appropriate repair request list to present to the Seller. What's the difference between a Home Appraiser and a Home Inspector? Home Appraisers are trained in the valuation of real property and are not Home Inspectors. Generally, real estate appraisers do not climb on the roof, remove the cover from the electrical panel or examine the furnace and appliances as would a home inspector. Home inspectors are trained to be experts in all facets of construction and conduct an on-site inspection to review your house as a system, looking at how one component of the house might affect the operability or lifespan of another. Appraisers perform a totally different service with a different level of expertise than a professional home inspector. Will I be able to walk through the property again before closing? In most cases, you'll be given the opportunity to inspect the home one last time immediately prior to closing escrow. This time, it's important to check on any work the Seller agreed to have done in response to your initial home inspection. You should also carefully check the condition of walls and ceilings from which window treatments, pictures, or any other attached furnishings have been removed by the Seller. If you find any problems, don't hesitate to bring them up at the closing. It's the Seller's responsibility to correct them. What shall I do to prepare for the home inspection? You, as the Buyer (or your Real Estate agent) must obtain permission for me to enter the premises in order to inspect the property. It's helpful for you (or the Realtor) to notify the Sellers that all utilities must be "ON" and all gas pilots lit prior to the inspection. I will be looking over all areas of the home and its mechanical systems. In order for me to complete the work properly, I must have access to all areas, including the attic, basement, garage, and all mechanical equipment. If I cannot gain access to certain components due to stored materials or some other reason, the home inspection will not be complete. Inaccessible areas will be reported as "Not Inspected" and may create surprises for you when you do finally gain access to these areas. Payment is expected at the conclusion of your home inspection. I accept cash, check, money order, travelers checks or PayPal. No credit cards please. If you have last minute questions after your home inspection, you may contact me directly via email or telephone. My phone lines are open from 8:00am till 8:00pm. All telephone consultation is Free. I will be available for your questions for as long as you own your home. I will always give you the personal service and attention you deserve as a homeowner. How do I find a competent home inspector? The inspector’s qualifications, including their experience, training, certifications and professional affiliations should be the most important considerations. There are home inspectors out there that are not licensed or have no certifications whatsoever, so be careful in your decision making. The best source is a friend, or perhaps a business acquaintance, who has been satisfied with and can recommend a home inspector that they have used in the past. In addition, the names of local inspectors can be found on the Internet where many home inspectors will advertise under keywords "Massachusetts Home Inspections" or "Massachusetts Home Inspector". Real estate Buyer agents are also generally familiar with the service and should be able to provide you with a list of names from which to choose from. 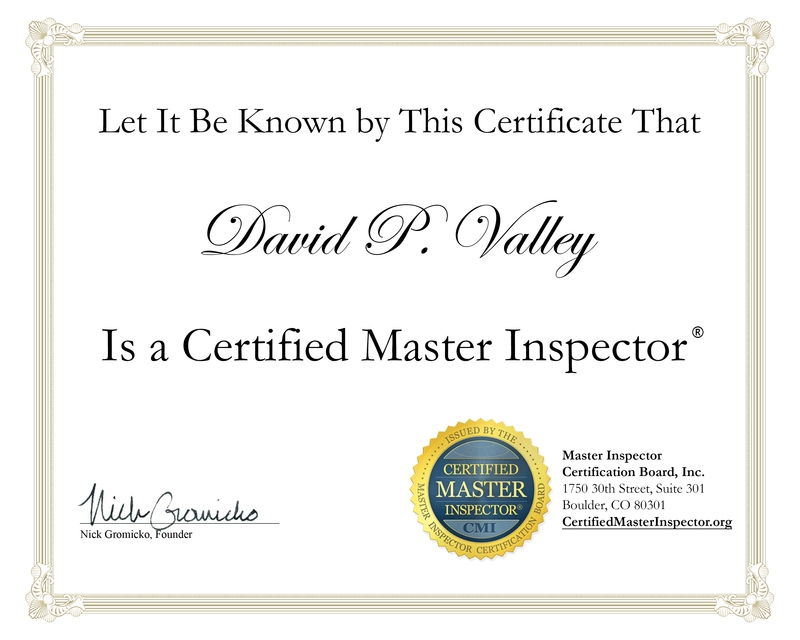 Whatever your referral source, you will want to make sure that the home inspector is a Member of the International Association of Certified Home Inspectors (InterNACHI) in order to be certain of his or her professional qualifications, experience, and business ethics. An “inspection contingency” protects you as the Buyer in a purchase offer, by allowing you to cancel closing on the deal if I (the home inspector) did find problems with the property. As soon as the Seller accepts your written offer, the document becomes a legally binding contract. The purchase contract can be written to include a contingency for any repairs found to be needed or related items the Seller must take care of before the closing of escrow. If these are not dealt with, and you have such a clause in your contract, you can delay or possibly cancel your closing. If it’s not stated in the contract, you could face losing your deposit. There also may be costly legal implications stemming from backing out of your contract. You have the right to choose your own home inspector (and are responsible for paying for the inspection). In addition to an overall inspection for structural soundness, you can request a satisfactory wood boring insect report, roof inspection report or contingency for no potential environmental hazards such as asbestos or radon gas, which I do provide as an option. Contingency clauses should satisfy the concerns of both the Buyer and the Seller. Buyers also can protect themselves by inserting additional necessary contingencies. Indicate which items like curtains and appliances are to remain with the house. Then stipulate that you have the right to personally inspect the home 24 hours before closing, to make sure all is in order. I'm looking for a thorough inspection, how do I know you qualify? Rates will vary from home to home depending upon the square footage and any optional services that you may want inspected. Beware! Choosing a home inspector based on price alone is like playing Russian roulette with your money and your home! Home inspectors who charge lower rates do so because they either do not have satisfied customers who will refer them or because they are new to the inspection industry. Inexperienced home inspectors and those who charge less than the industry average do less, know less and therefore charge less. Why people would put their dream home at risk over a $25 to $50 price difference is beyond me! For the information gained from my inspection, my report and my 64 page "Know Your Home" manual will represent the smartest money spent on your new home. Avoid Price Shopping: Lower home inspector fees should be regarded with suspicion, as they often identify those who are new to the business or who do not spend sufficient time performing the inspection. A home is the most expensive commodity you are likely to purchase in a lifetime. One defect missed by your inspector could cost 100 times what you save with a bargain inspection. Think about it. How many houses does an average person purchase in a lifetime? Three, maybe four? And how often? Once a decade? How would you like to go to a dentist that fills one tooth a decade? How would you like to go to a heart surgeon that does one operation a decade? You wouldn’t. So it's best to ask your Realtor to assist you on choosing a home inspector. Ask your Realtor what questions you should be asking the home inspector. Truth is, you should be asking your home inspector “How much money are you going to save me”? A good home inspector isn’t going to cost you money. A good home inspector is going to save you money. The best method of price shopping is to shop for quality. 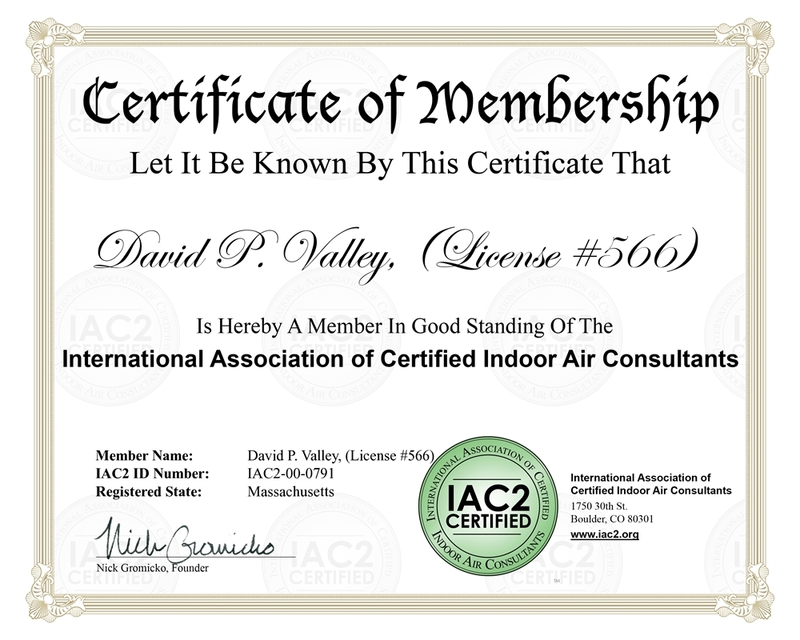 That's what you'll receive with Massachusetts Home Inspections. Call me Today.